The next aspect of the Buddha’s Noble Eightfold Path we’ll explore is Wise Action. We can all easily come up with examples in our lives of unwise action: Maybe the time we tripped and hurt ourselves, the time we left the burner on in the kitchen and forgot about it, or the time we ended up with indigestion from over-indulging. 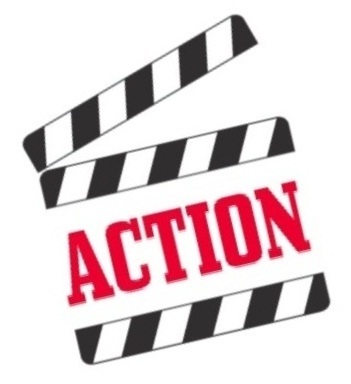 Unwise action is often frustrating, sometimes painful and can be dangerous. So how do we develop more Wise Action in our lives? First we check in with our intention. This is always the first place to go whenever we feel out of sorts. Is our intention wise? Is it a wise loving intention that promotes taking care of this gift of a physical body to the best of our ability? Or are our actions seated in some sense of self-hatred that assures that they are likely to be unskillful? We can also look at our effort. We might see that we are trying so hard to accomplish something that we are not taking good care of ourselves. Or, we are under-efforting, and not meeting our body’s needs. Wise Effort arises from Wise Intention and the two work together to bring balance and effectiveness. It’s an area to explore. What about Wise Mindfulness? If we hurt ourselves or others it’s often because we weren’t being mindful. We were thinking about other things and we had an accident of some kind. Is there any accident that we caused that didn’t arise out of not being fully present in the moment? If everyone on the road were being mindful as they drive, would there be any accidents? This is why self-driving vehicles are safer. A computer-driver is not making grocery store lists, talking on the phone or texting, daydreaming or caught up in an emotional storm. Instead it is constantly noting all causes and conditions. Theoretically we could drive as well as computers, but instead we let our minds wander and boom. This is no small problem! In the US alone, there are over 30,000 traffic deaths per year, and many more serious injuries. What about Wise View? Our actions become unskillful in relationship to other people when we believe them to be separate, alien and threatening. It’s a scientific fact that we are not just made of the same stuff, but are seamlessly interconnected with all being, but coming home that reality is sometimes difficult because we are caught up in destructive patterns of emotion and thought. And the result is violence. When we are able to come to Wise View, our actions are more skillful. Beyond violence, other unskillful actions arise from unwise view: All manor of addictive behavior that is destructive to ourselves and those around us. Last post we looked at Wise Speech. Now we can recognize how unwise action can be activated by unwise speech. Words that are hurtful can lead to bodily harm. See how all the aspects of the Buddha’s Eightfold Path work together? When we recognize that something in our life is off kilter, that we aren’t being skillful or wise in our actions, we can explore more fully where exactly is the lack of wisdom in this particular case. Often our actions are reactions. This makes them intrinsically unskillful and likely to cause trouble for ourselves and those around us. As we cultivate wisdom, our actions rise out of that wisdom. They are not reactive. They are, instead, responsive. What’s the difference? Reactivity is mindless, on auto-pilot and rooted in fear. Responsiveness rises out of a sense of being interconnected to all life. The action is rooted in Wise Intention, a loving intention that has no expectation. In general we are uncomfortable with change, even change we had hoped for. It takes us time to adapt, to mourn the loss of what was and come into some comfortable relationship with what is new. In part this is due to our habitual nature. We are used to doing things a certain way and suddenly we have to pay more attention. For example, moving into a new home can be exciting but stressful, not just because of all the boxes to unload and phone calls to make and things to arrange, but also because we were operating on autopilot in our old situation. We didn’t have to think about it. We knew where everything was. We knew the route by heart to the old home, and our body just naturally goes there. This new route takes some purposeful thinking. This is true with a new job, a new relationship, a new physical challenge or a new leader. It all takes some getting used to. And that’s not easy. If the change was something we chose, then we are buoyed by the excitement of an opportunity or challenge. We can still find it stressful, but overall we feel good about it. But if the change was not of our choosing then there is no excitement to buoy us up. We find ourselves floating and sometimes drowning in a sea of difficult emotions. If that sounds at all familiar, then let’s explore skillful means to survive and even thrive in that sea of change. First, we need to recognize that change is the only constant. From the day we were born, we and everything around us has been in flux, growing up, altering circumstances, changing course. Walking in nature we recognize the cycles of seasons. Nothing stays the same. Second, we can see that we have always somehow dealt with change and have survived. But is survival enough? Most of us want a little more from life than mere survival. We can look at the way we have dealt with change to see if it was skillful. Or are we reacting to what comes up in our lives with emotions and actions that seemed skillful when we were eight years old? As adults, if we take the time to pay attention, we have the capacity to see that these are not skillful. But because we are not taking the time to explore, evaluate and reassess, we may still be handling things in childish ways: sulking, lashing out, acting up, hiding out, unwilling to look at all sides of an issue. We may still see from a child’s eye view: That the world or someone in our lives is the cause of all our problems and we totally helpless to do anything about it. Is this true? For most of us this may be true in some areas and not in others, because we have paid attention and grown in some areas, but are still on autopilot in regard to others. 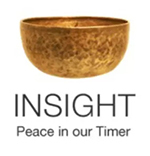 Insight meditation is developing a strong healthy habit of meditation, mindfulness and compassion. AND doing self-inquiry. Especially after a period of meditation, when the mind is quieted down enough so that our innate inner wisdom can be heard, we can begin to question some of our assumptions about things. So when we feel adrift in a sea of change, meditation and inquiry can allow us to become like dolphins, able to inhabit the experience more fully and more joyfully. Coming into the moment, we can recognize our reactivity, and how we are causing ourselves misery. We can see how we get stuck in nostalgia, stuck in anger, or lost in despair. We don’t get unstuck by pushing any of these emotions away. We get unstuck by cultivating spaciousness, compassion for ourselves and others, allowing whatever is present to be there, but also noticing what else is also present in this moment. At any moment, in our body and in the world, there are both pleasant and unpleasant things going on. Noticing both allows us to expand our view, to hold all that is going on in a skillful way. And from this noticing we find we are able to be fully present and rooted in a more peaceful and loving intention, so that we make wiser choices and wiser actions. This entry was posted in accomplishment, change, Eightfold Path, healthy living, self-destructive behavior, Spacious Action, Wise Action on February 18, 2017 by Stephanie Noble.